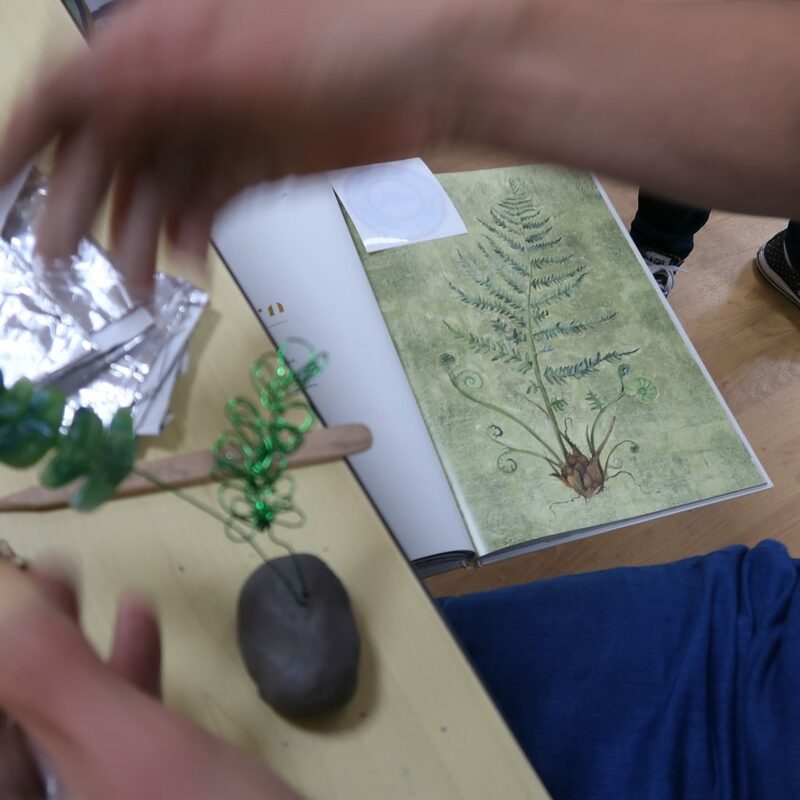 As part of AccessArt’s Brilliant Makers initiative, in October 2018 AccessArt coordinated an informal and free ‘Meet and Make’ CPD and networking session, hosted by Arbury Primary School, Cambridge for Cambridgeshire primary teachers and art coordinators. 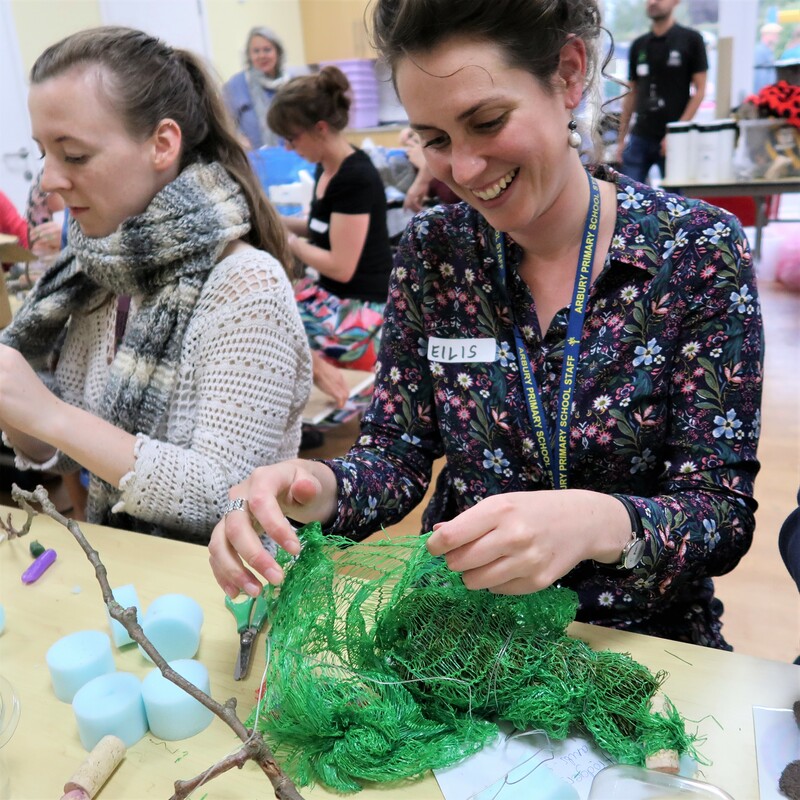 We were delighted to be joined by thirty teachers, museum educators, local scrap-store representatives and Cambridge Curiosity and Imagination (CCI). 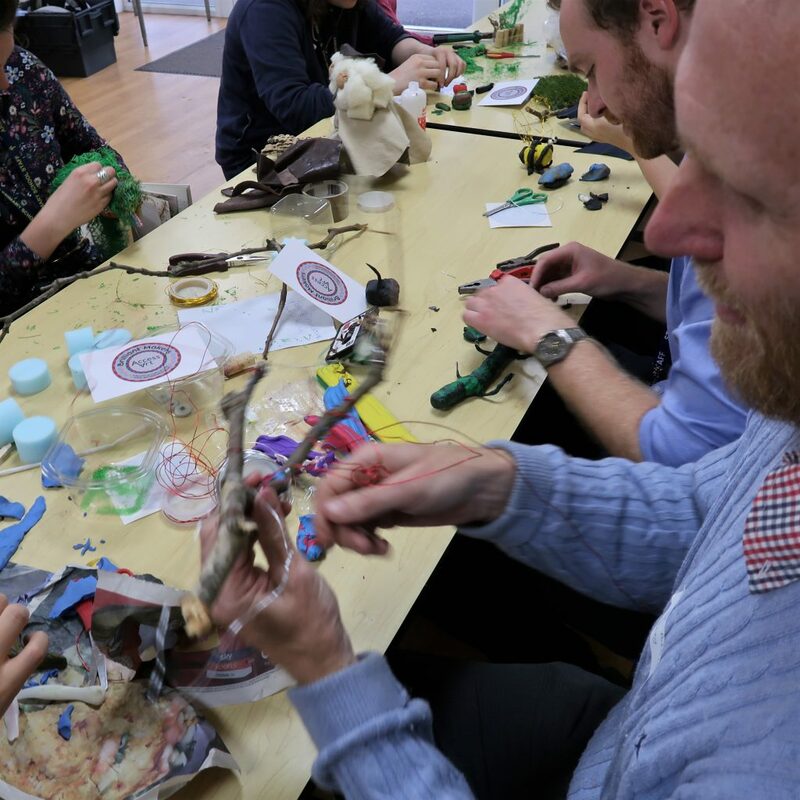 The aim for this session was to highlight to teachers the scope for introducing and developing 3D making within their teaching, both within the classroom and in after school club provisions, using materials and ideas as starting points. 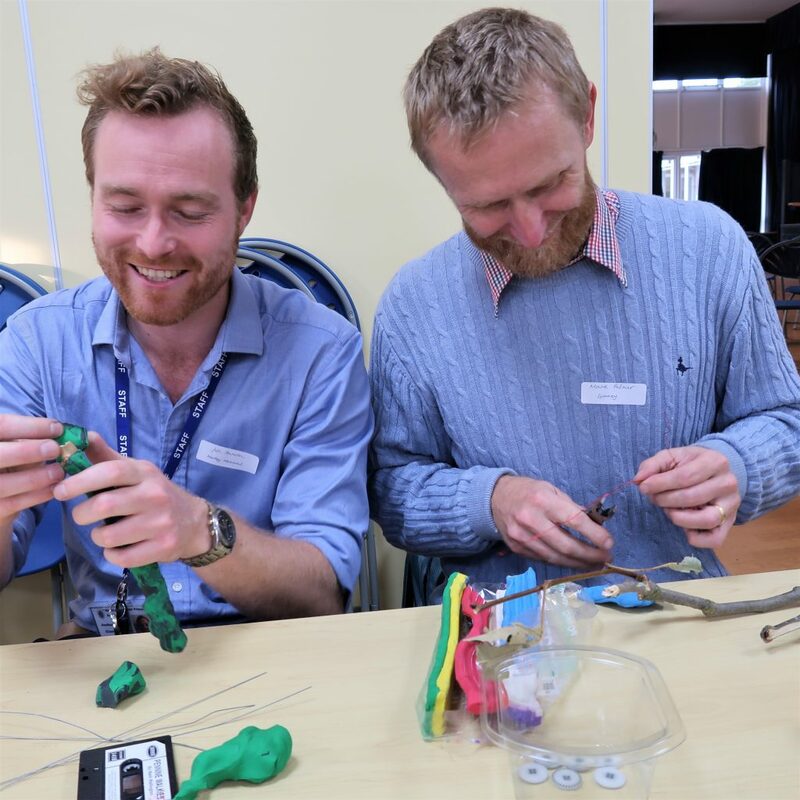 We wanted teachers to feel inspired and supported and to try some making themselves to feel enabled to take what they’d learned back into their school settings. If you’ve set up a Brilliant Makers Club in your school or community, let us know how you’re doing and if you’d like to set up a similar Meet and Make session we’d love to help! We were welcomed by the deputy head, Diane Rawlins who spoke about why she’d welcomed Brilliant Makers at Arbury Primary School, Cambridge and how she had supported Eilis Hanson who had initiated the club and the impact it had on the participating children and the school as a whole. Sheila Ceccarelli co-founder and director of AccessArt, outlined the core values of AccessArt’s Brilliant Makers and the view that 3D making skills are skills for life; Making enables children to engage, not just with the development of artistic skills, but also creative problem solving, communication, materials and so much more, therefore vitally important to all children as part of a balanced education. Sheila described how a non-didactic, experimental approach to making is important for enabling creative expression, wellbeing and confidence building. Eilis Hanson, who was art school trained herself, described her motivation for setting up the club and how she recognised the need to create more sustained making opportunities for her year three pupils, in particular those with limited access to extended art activities beyond school. 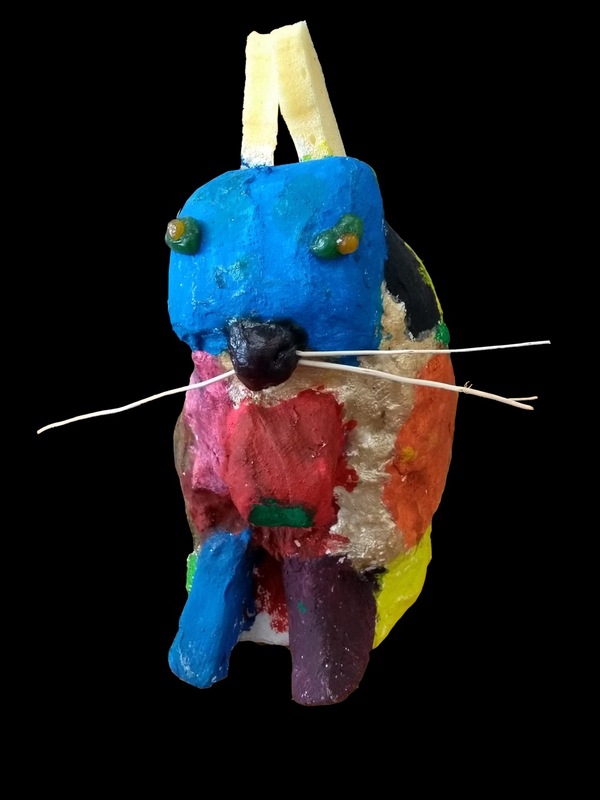 Eilis set up the Brilliant Makers Club for eight, year three pupil premium pupils – she was supported by AccessArt as well as teachers Laura Kohler and Martina Krausova from St John’s College School, Cambridge, where DT and Making clubs were already well established. The sessions were inspired by the plants and animals of The Lost Words book by Robert Macfarlane & Jackie Morris. 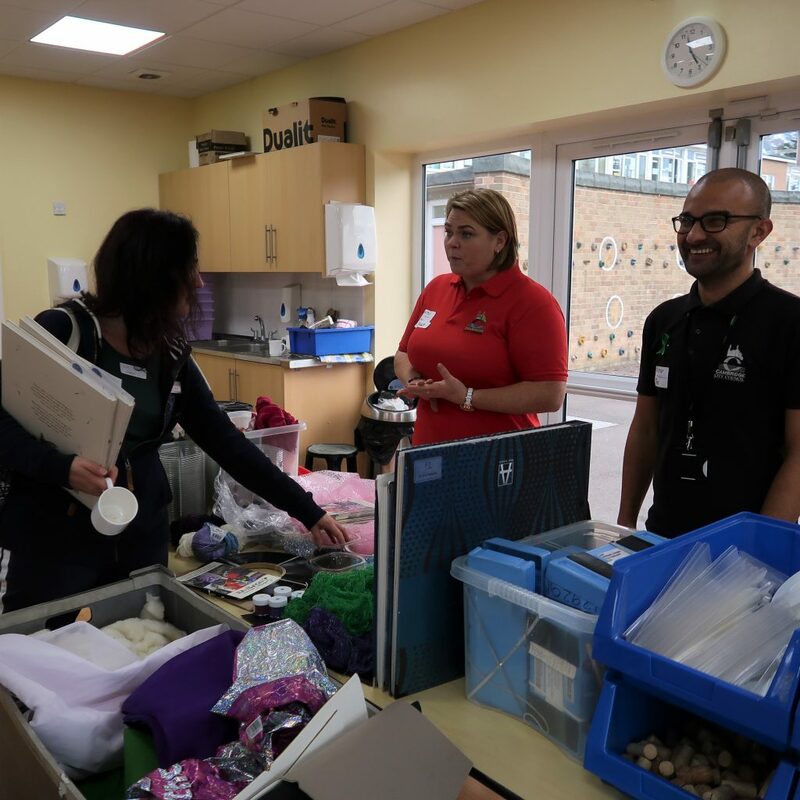 The Brilliant Makers Club at Arbury Primary School is ran by invitation only to targeted children and is free, thanks to the support of the deputy head, Diane. 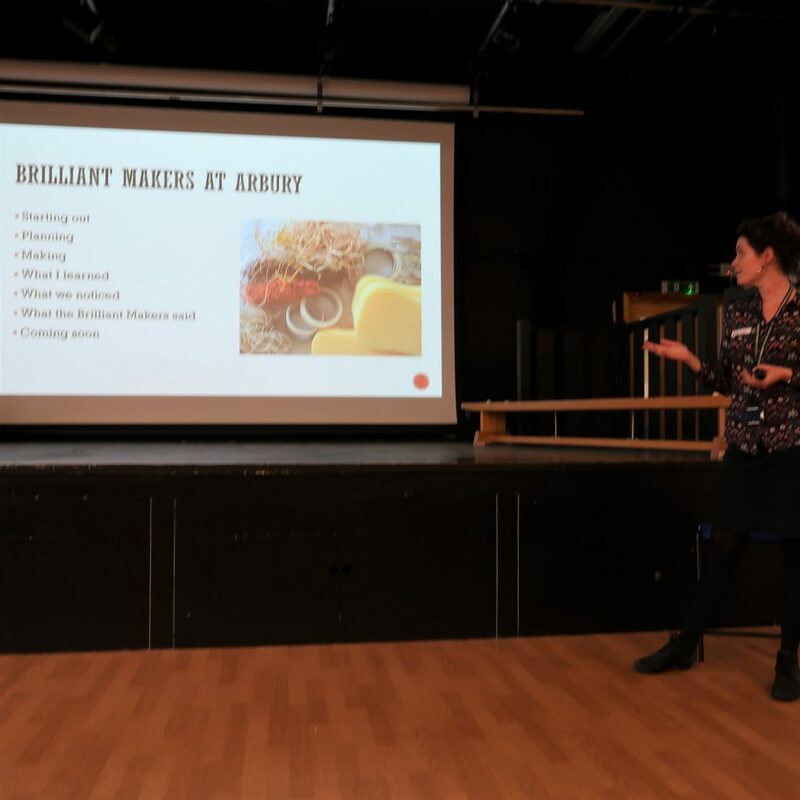 You can read Eilis’s powerpoint presentation about how Brilliant Makers came about at Arbury Primary School, how it was sustained and see the amazing work that the pupils produced under her supervision here. We were delighted to be joined by Ruth Sapsed from CCI (Cambridge Curiosity and Imagination) who provided the opportunity for teachers to collect a free copy The Lost Words book (by Robert Macfarlane & Jackie Morris), as part of the CCI campaign to get copies of this important book into every primary school in the county. 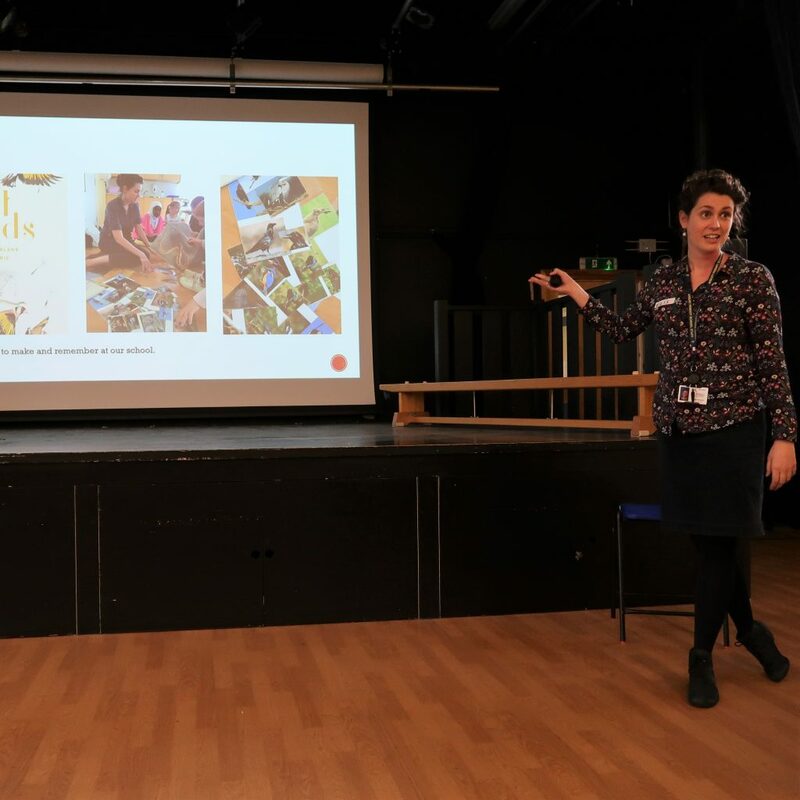 Ruth Sapsed spoke to teachers about why access to the book is so important for schools and CCI’s work encouraging forest work and children’s understanding of nature. The book also provided the inspiration for the making session that followed. 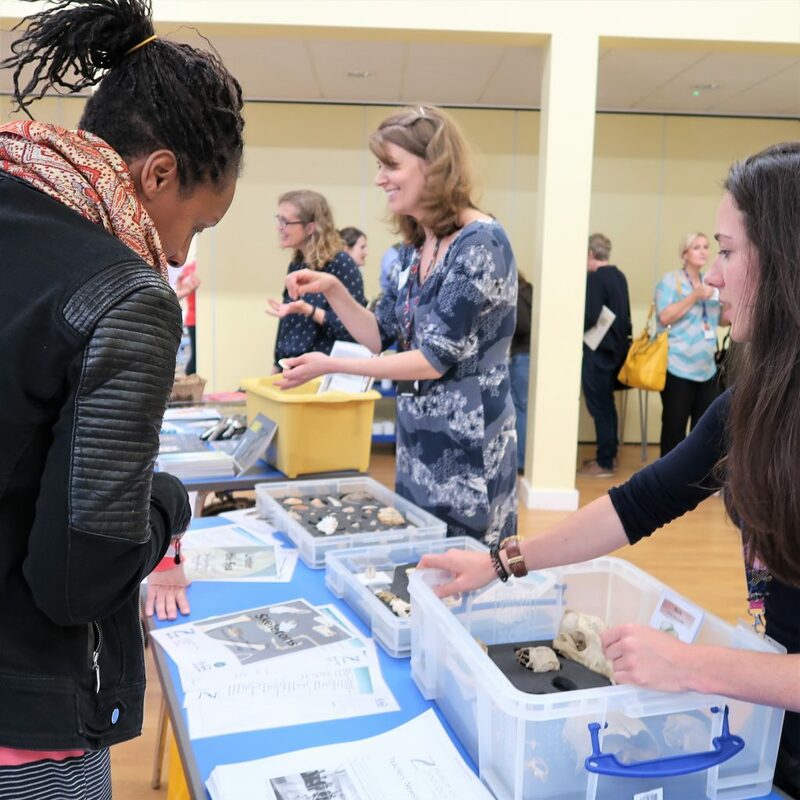 Teachers were then invited to explore museum handling collections on display, and subsequently to move into the making room to choose some materials for their own making project! The learning teams at the The Museum of Zoology and the Fitzwilliam Museum brought with them some interesting objects used for school groups, to inspire teachers to use museum collections as starting points in their teaching and the objects as inspirational ‘starters’ for their own making later. Cambridge Community Scrap Store kindly provided an amazing and eclectic mix of materials from their base on Barnwell Road, Cambridge and we used a smaller room adjacent to the hall to set out a series of ’making tables’, ready for the teachers to try their hand at experimenting with the materials after the talks had finished. 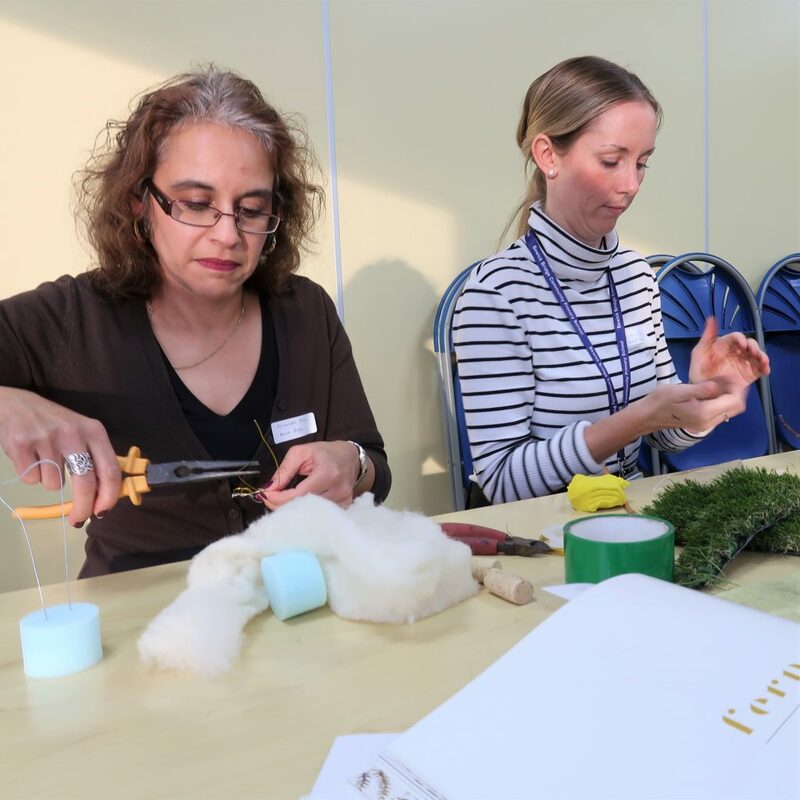 We found that the informal set up of the meeting was a great way for the teachers to embrace the activity and to overcome any reticence they may have had in terms of their making ability. 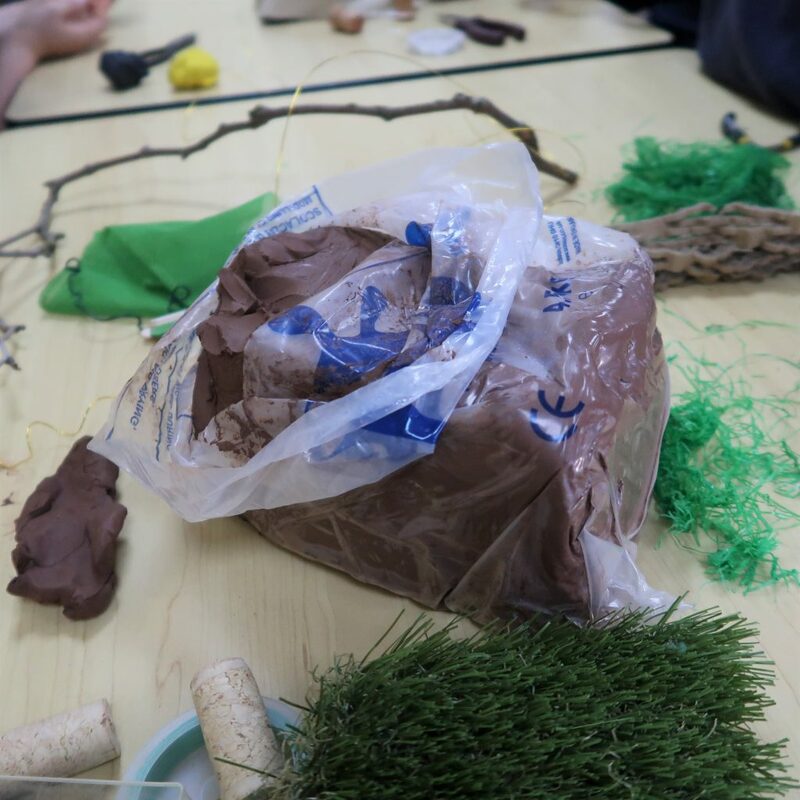 We encouraged the group to chat and discuss as they worked and to share ideas as they went along – exactly what Eilis herself had said was such a great way to get her pupils engaged in Brilliant Makers. Our hope was to show that making doesn’t necessitate high levels of artistic skill and is as much about exploration and experimentation than anything else. We were thrilled with what the teachers produced in what was a relatively short session! The materials ranged from clay to wire, with everything in between! 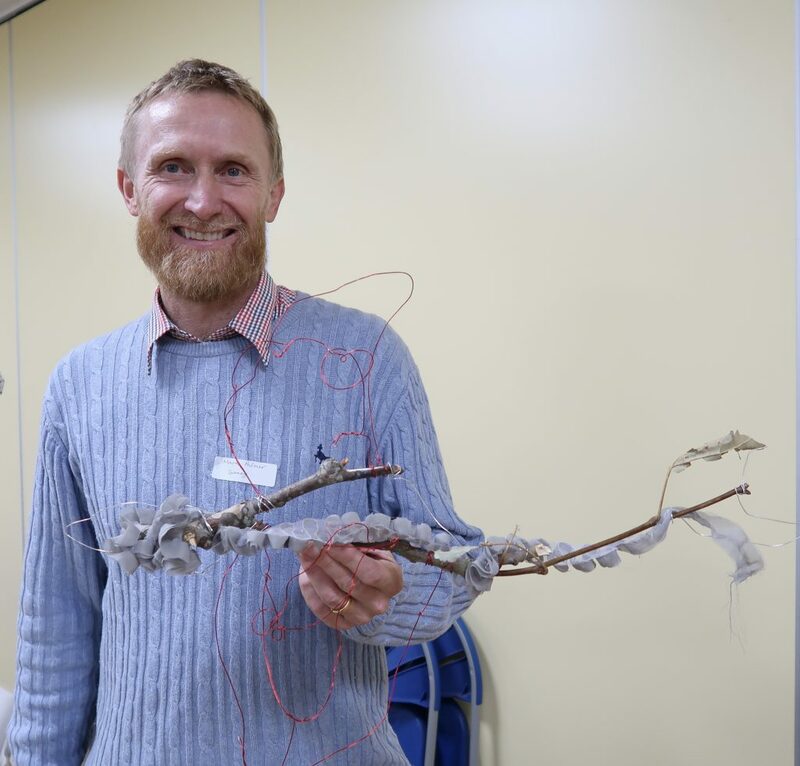 As with the Brilliant Makers club at Arbury Primary School, we encouraged teachers to use nature as a starting point for their making. Having a strong theme or style to take inspiration from is a great way to get ideas going and we found the teachers embraced this really well. Using images and illustrations as a starting point to create a 3D object. Here, the curled quality of a fern leaf is replicated using wire and modelling clay. We were pleased to see such beautiful finished products! 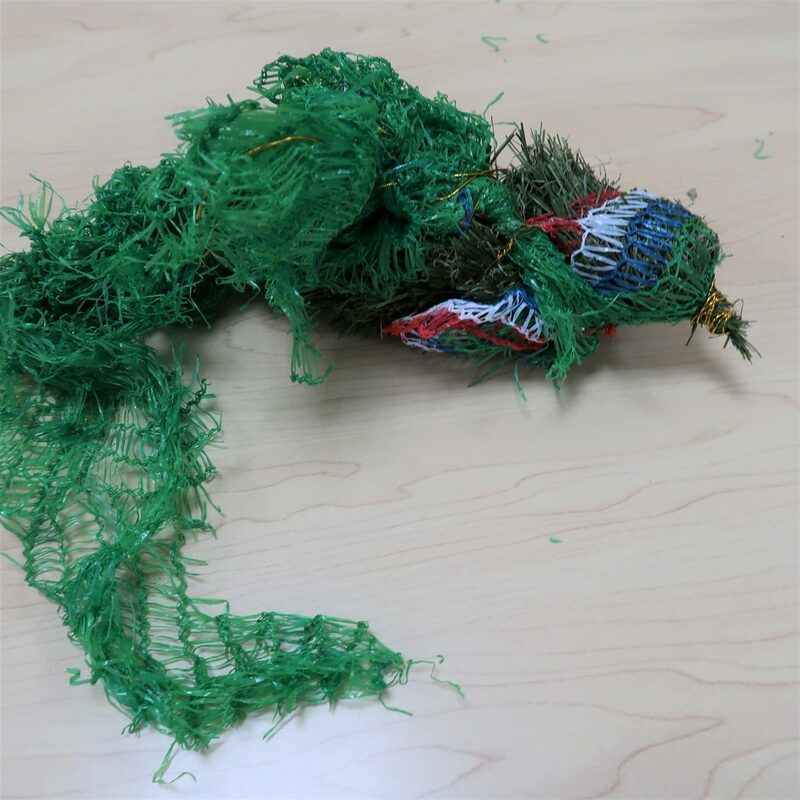 A stunning sculptural bird made using plastic mesh and twine. Find out more about Brilliant Makers and our aim to give children more hands-on making opportunities here. • Arbury Primary School ~ Eilis Hanson – “Brilliant!” year three teacher, and Diane Rawlins, deputy head. • Ruth Sapsed from CCI (Cambridge Curiosity and Imagination) – Promoter of Lost Words and creative experiences in nature. 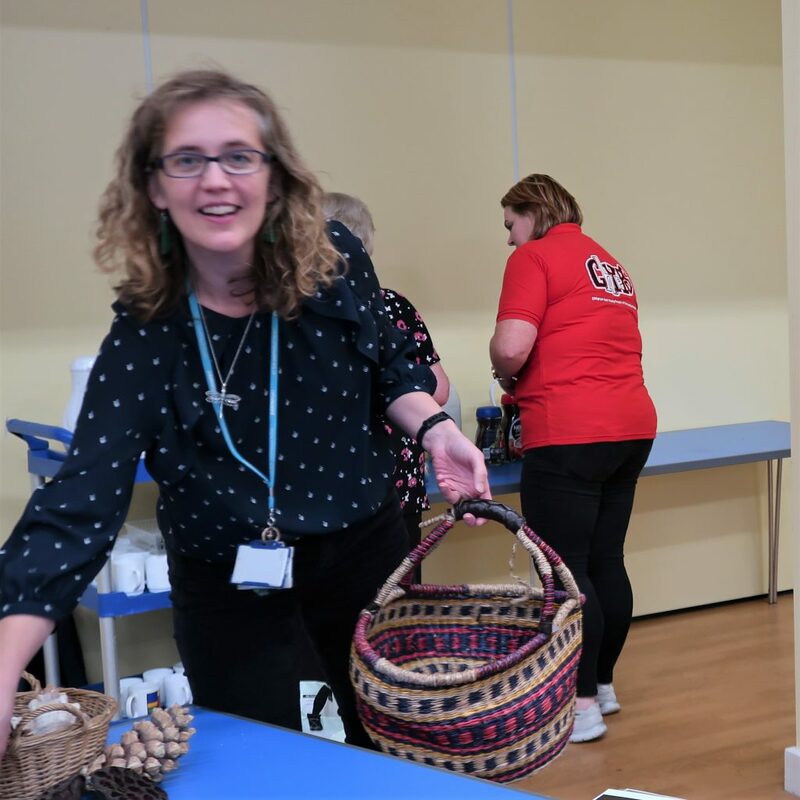 • Kate Noble from the Fitzwilliam Education Team and Sara Steele & Rosalyn Wade from Cambridge University Museum of Zoology, for providing “handling objects” inspired by the natural world. • Kelly Baldwin from Cambridge Community Scrapstore – For providing such wonderful materials . • Katherine Woodard (SLE for Art and CALSA) for her support. 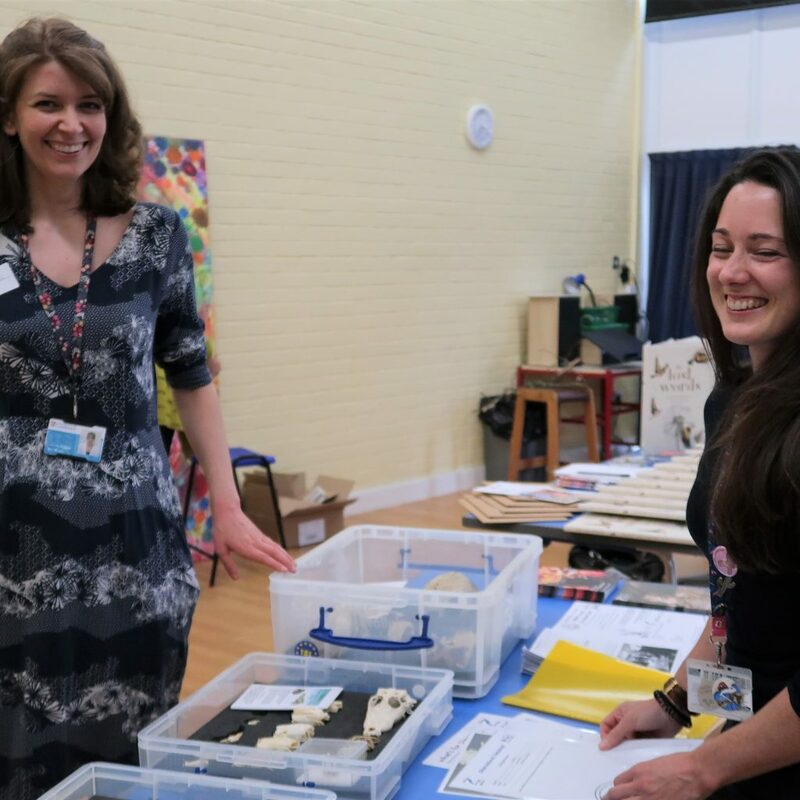 • Laura Kohler & Martina Krausova – St Johns College School, Cambridge for supporting Brilliant Makers at Arbury Primary School. Sign up below to receive email updates from AccessArt. AccessArt promises not to share your information with anyone else and you can unsubscribe at any time!